SCIENCE MAKES ASTONISHING PROGRESS in improving our knowledge and understanding of the world but philosophers, by contrast, have made no progress at all in explaining how this progress is possible, despite centuries of effort. Some of the world's greatest thinkers, from Hume, Kant and Mill to Russell and Popper, have struggled to solve philosophical problems about scientific progress, and have failed. Even Einstein confessed he was baffled by the problem of what it means to say of a physical theory that it is "unified", "explanatory", or in possession of what he called "inner perfection". In this book I set out to solve the eight most fundamental philosophical problems about scientific progress. These include the problem of induction, the problem of what it means to say of a physical theory that it is "unified", and the problem of specifying precisely what the progress-achieving methods of science are. 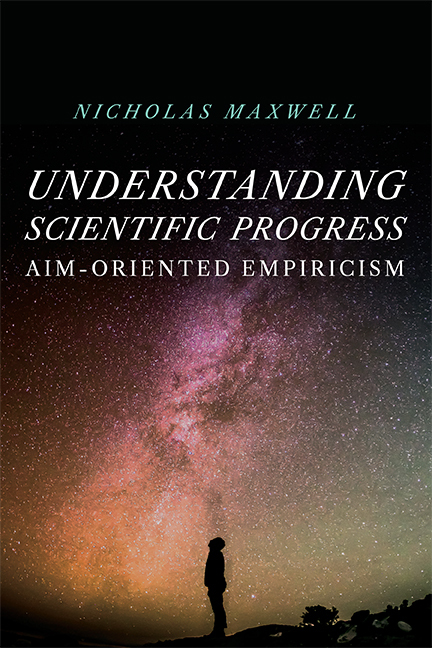 The enhanced understanding of scientific progress that this provides has important implications both for science, and for our attempts to achieve progress in other areas of human life where progress is urgently needed and much less assured – above all, in the effort to achieve social progress towards a better, wiser world. Chapter 6: What Possible Justification could there be for Accepting Unified Theories? Maxwell's Article, "How to Tackle the Fundamental Crisis of Our Times."